I get asked all the time to by my clients to provide a way to direct download URL to a file and NOTpreview the file, especially if the file is large in email. It’s often very confusing for novice users to have preview mode of file, such as PDF files which launch a separate user interface. Moreover, if the file is over 100Mb, the preview appears too slowly for most users, and they’ll abandon the file. 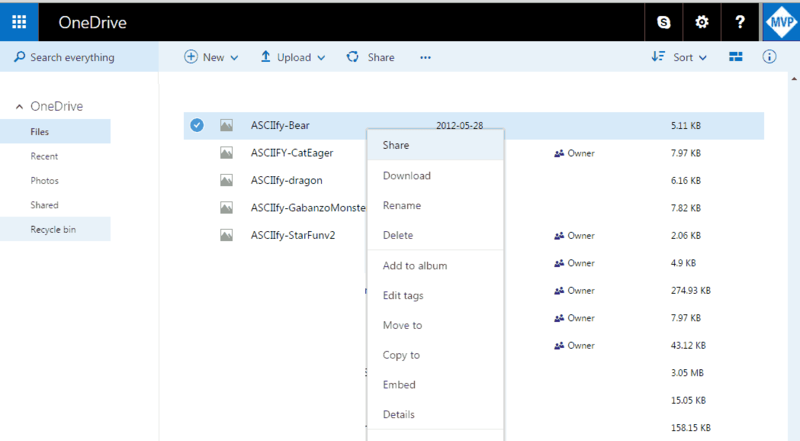 So I came up with this mini “App”, it takes a OneDrive Share Link and returns the direct download URL for that file. Enjoy! The original download maker, accept no other. 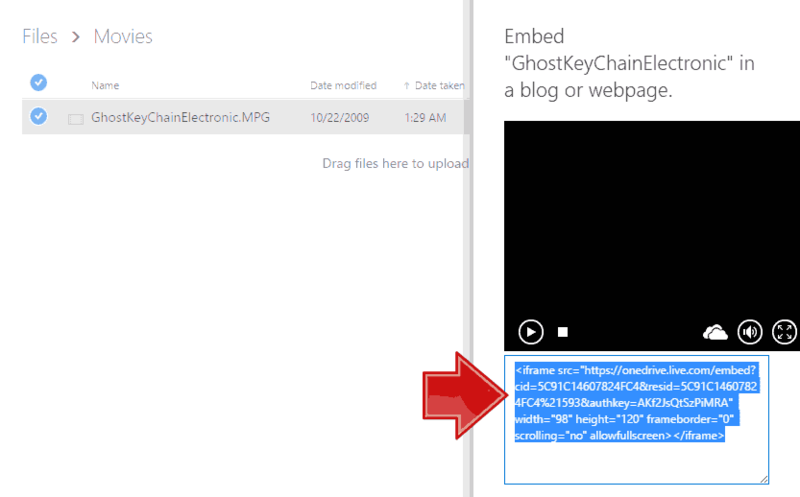 1.Right-click on item in Onedrive, Choose Embed. For images, see below. 3. 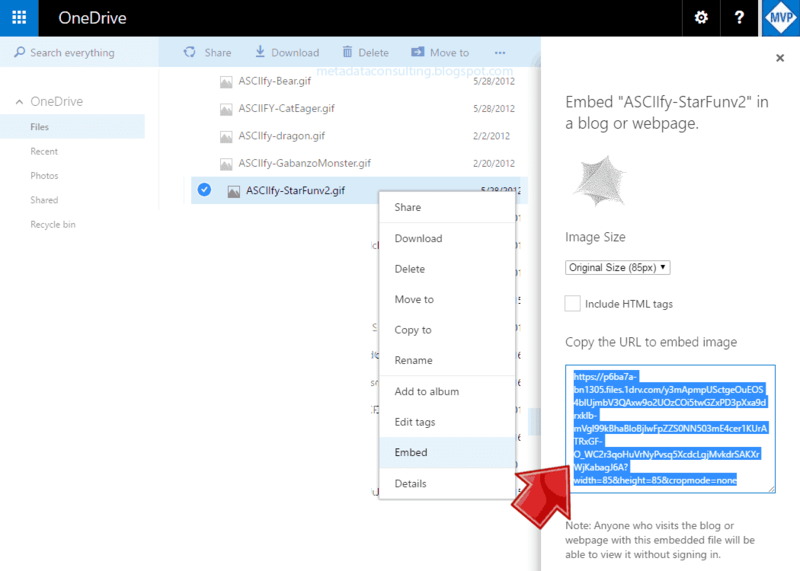 Get Embed codefrom Onedrive as in picture above. i.e. : <iframe src=”https://onedrive.live.com/embed?cid=8F99649728BEB2F3&resid=8F99649728BEB2F3%211010&authkey=AFo8ZQ_-qj84DEQ” width=”98″ height=”120″ frameborder=”0″ scrolling=”no”></iframe> see instructions below, if you don’t know how.NOTE: Forimagesthere an extra step below. 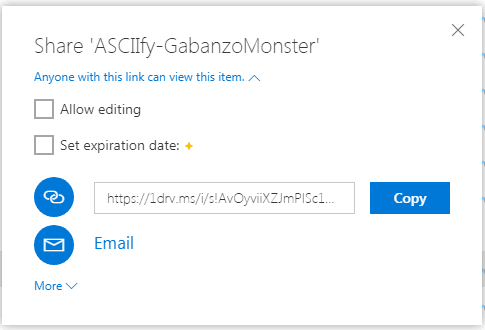 This will produce, extract the File Embed Link which looks like: https://onedrive.live.com/embed?cid=8F99649728BEB2F3&resid=8F99649728BEB2F3%211010&authkey=AFo8ZQ_-qj84DEQ and populate the text-box below. To proceed click “Get Download Link” button. 4. Now, Click on Get Download Link button. Copy the all the embed code ie. 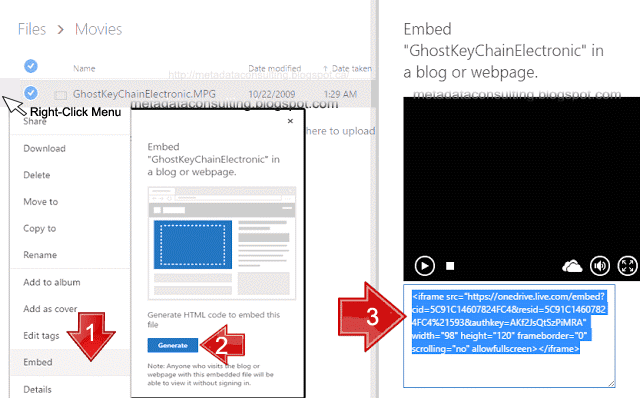 <iframe src=”https://onedrive.live.com/embed?cid=…” >…</iframe> and paste into above. ClickCopy button. Updated Jan 01, 2017 API change. Paste share URL into http://www.linkexpander.com/and copy that URL. The resulting Uncovered URLis in the format we need, and look like this. and click 4. “Get Download Link” button above. Right-click and choose “Select all” and “Copy”. 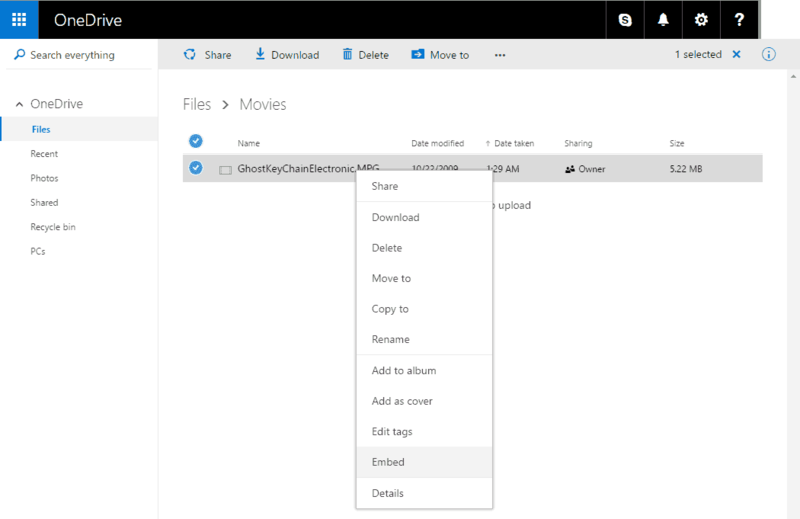 Paste the OneDrive Share Direct Download Link in emails instead. Updated June 07, 2016 API change! Right-click on image and select Embed. The Copy the URL to embed image now gives youdirect download URL, but is super long. So you do not need to do the above! 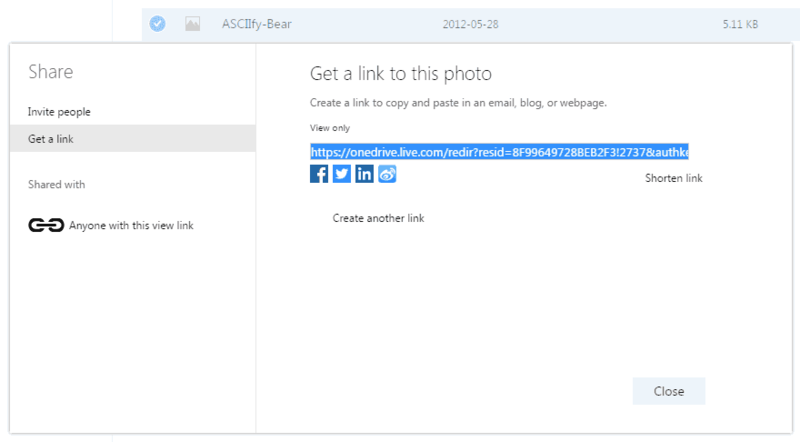 Bonus : For images, read Using OneDrive as a Content Delivery Network (CDN) plausibility post. 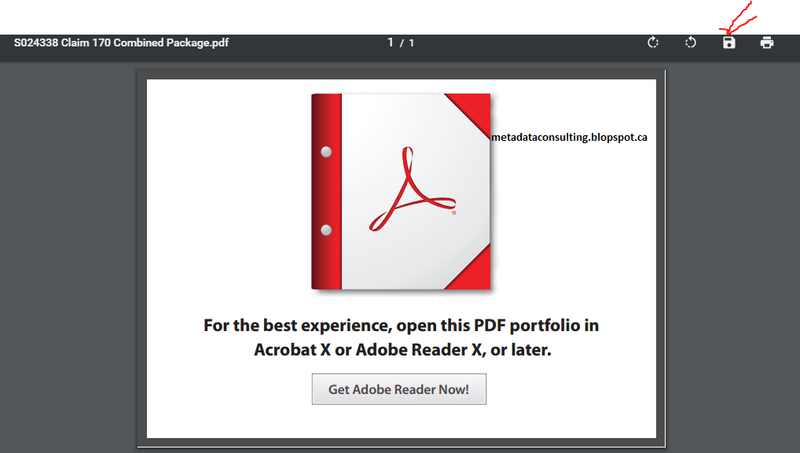 You have to save the file first then open in Adobe Acrobat/Reader. Related Posts of "How to share Large Files in Email"